In one of the most important moments in baseball history, Harry "Chunky" Harris of the Associated Press was there. 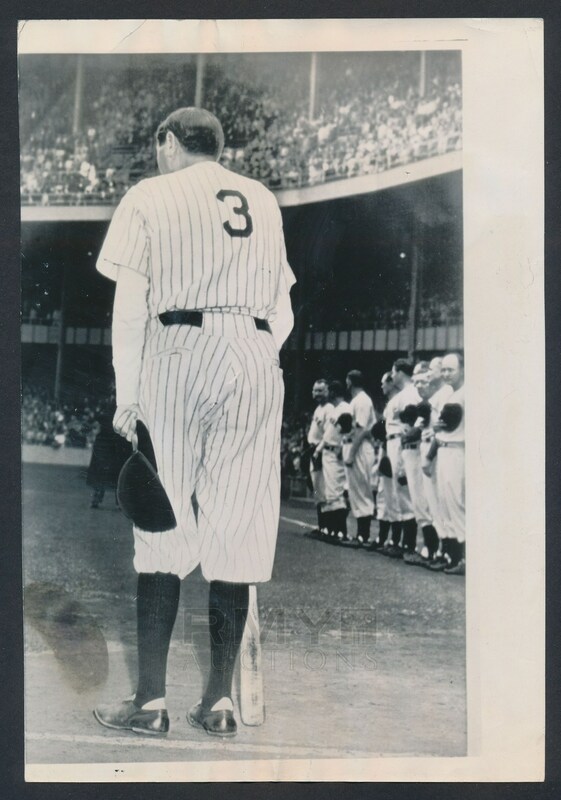 Perched next to Nat Fein in a weird position BEHIND a baseball icon as he said goodbye, he perfectly snapped Babe Ruth as he addressed Yankee Stadium shortly before his death. 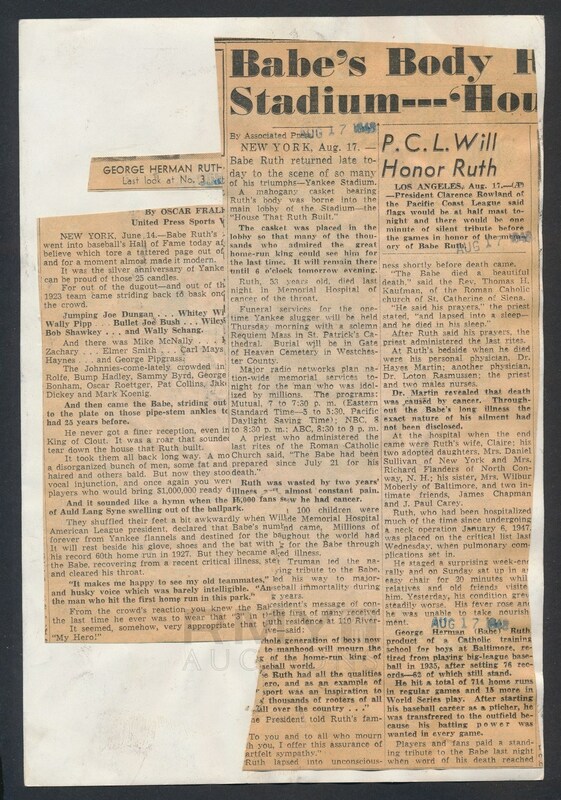 A large example with a large newspaper caption on the back, this is a vintage 1948 example with the important date stamp on the back and pretty decent clarity for a large format wire photo!